The Stainbrook Agency opened May 1 at 1942 Grand Ave., Wausau. 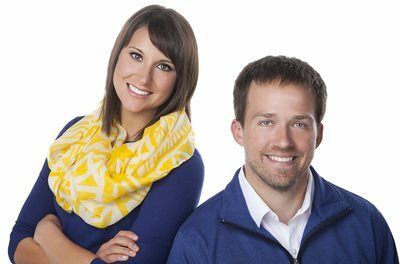 Owned by D.C. Everest and University of Wisconsin-Madison graduate Adam Stainbrook, the Stainbrook Agency offers insurance of all types — auto, home, umbrella and rental — exclusively for those who work in education fields. The agency’s insurance plans are offered to virtually anyone who works within the traditional K-12 school systems, Stainbrook said, as well as those who work at colleges and universities, technical schools and trade schools. The Stainbrook Agency provides its insurance through the Meemic Insurance Company, which was started by a group of seven teachers in Michigan in 1950. Meemic and the Stainbrook Agency also award grants to educators, with thousands of dollars already awarded to teachers at D.C. Everest and Wausau West. Stainbrook said he also enjoys reconnecting with the teachers he himself had as a student. Earlier this year, the agency received Meemic’s President’s Circle of Honor Award, which is given to the agency with top sales. The Stainbrook Agency’s new Wausau branch is the business’ second; its original location in Madison opened in April 2013. For more information, call 715-203-8277 or visit www.stainbrookagency.com.